The latest new products and innovations from 2,511 exhibiting companies were on display for attendees at AAPEX 2018 in Las Vegas. With the automotive aftermarket undergoing significant evolution and change, AAPEX 2018 featured the latest new products and innovations, advanced training by industry experts, and current and futuristic technology demonstrations to keep attendees ahead of the curve. AAPEX represents the $740 billion global automotive aftermarket industry and took place Oct. 30 – Nov. 1, at the Sands Expo in Las Vegas. For automotive service professionals, Mobility Garage added new and advanced training programs on electric and alternative fuel vehicles, as well as shop equipment and technology. AAPEXedu offered 50-plus sessions and new forums on important topics, including the leading trends and outlook for the industry, retrofitting and servicing advanced driver assistance systems (ADAS), new mobility models, and emerging vehicle technologies. A special general session for automotive service professionals tackled a critical issue: building rewarding careers for automotive technicians and ensuring they have the skills to repair vehicles equipped with new technology. Within the Technology of Tomorrow section, the Secure Vehicle Interface (SVI) was unveiled, showing attendees a solution that ensures vehicle data interfaces always enable safe, secure and standardized consumer access and control of the data their car generates. A Virtual Vehicle Challenge provided a friendly competition among attendees to test their skills as they journeyed into a virtual garage, selected automotive parts and installed them on a vehicle. AAPEX 2018 welcomed two keynote speakers to this year’s event: CNN’s John King and political strategist Karl Rove. 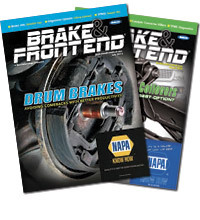 The two shared their views on the midterm elections and how tariffs could impact the automotive aftermarket industry. 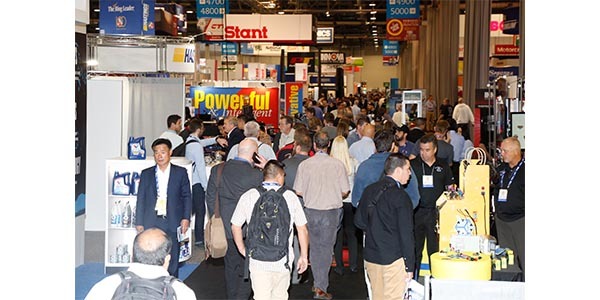 The event drew 48,603 targeted AAPEX buyers, and 161,938 automotive aftermarket professionals were in Las Vegas during AAPEX and the SEMA Show. To see AAPEX 2018 highlights and headlines, visit AAPEX TV and daily broadcasts from Oct. 30 and Oct. 31. AAPEX 2019 will be held Tuesday, Nov. 5 through Thursday, Nov. 7, at the Sands Expo in Las Vegas, Nev., USA. For more information, visit aapexshow.com or e-mail: [email protected]. On social media, follow AAPEX at #AAPEX19.